The internet could be a very scary place especially if you are not a careful browser. Statistics show that lottery frauds and scams online are constantly growing cybercrime. This is because of the fact that there are many people out there who are just ready to take advantage of unsuspecting victims who are in search of fortune and fame. But those are offenders of the American law on cybercrime The threats about lottery system scam are real and one has to be very vigilant to avoid all their schemes. You need to be aware of all the scams about lottery on the internet so that you are not cheated. It would interest you to know that these scams have been around for a very long time. What these people thrive on is the get rich quick attitude of some folks. They then make them to pay huge sums of money all in a bid to win an internet lottery but you would not be allowed to recoup the losses. This is because there would not even be winners. When you get information about these lottery scams you would certainly do well to stay away from them entirely. One of the first things you have to appreciate about the internet lottery system scam is that when a deal sounds too good to be true it certainly is. There are some classic examples where a brand new Mercedes Benz is advertised but you would be taken to a $100 ticket after clicking on the car. This is definitely fake as one has to purchase the ticket first. Some of the tactics some employ would be to add some very mouth watering testimonials and reviews so that you would be drawn into it. Indeed all of these area ways of pulling you just to make a commitment with your money. It is also important to note the site construction of all of the lottery websites that you visit. Make sure you check out the layout of the site very well. Check whether the layout is quite appealing or it just looks like a site that was designed five years ago. Mostly you would be able to tell about a website depending how appealing it looks like. 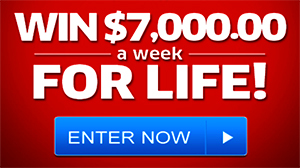 The more serious lottery websites are well designed and would be designed professionally. However most of the lottery frauds and scams websites are not normally well constructed and some appear very old. These should help you to stay away from any of the scam lottery websites.